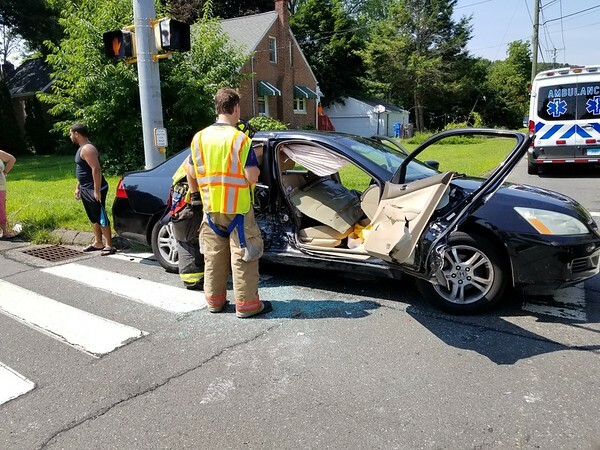 BRISTOL - A woman was sent to the hospital Friday morning after she had to be extricated from a vehicle following a two-car crash. The accident was reported around 11 a.m. at the intersection of King and Moody streets. 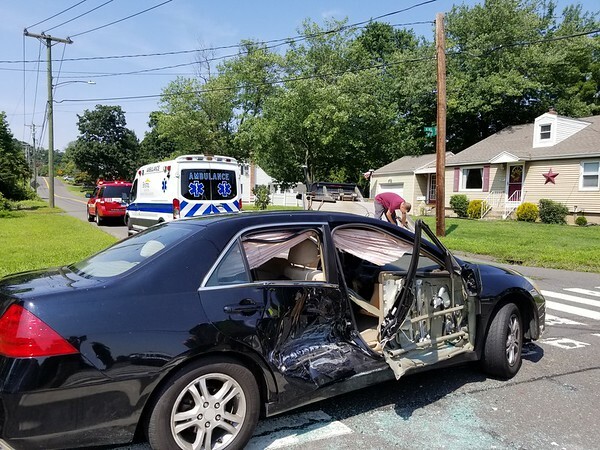 In addition to police and medics, the fire department was called to the scene to help a woman get out of a Honda Accord, which sustained heavy damage to its passenger side, where the woman had been sitting. Deputy Fire Chief Mark Martin said firefighters had to “pop” the door open before the woman, who appeared in her 20s or 30s, was taken into an ambulance and transported to an area hospital. Martin said her injuries did not appear to be life-threatening. 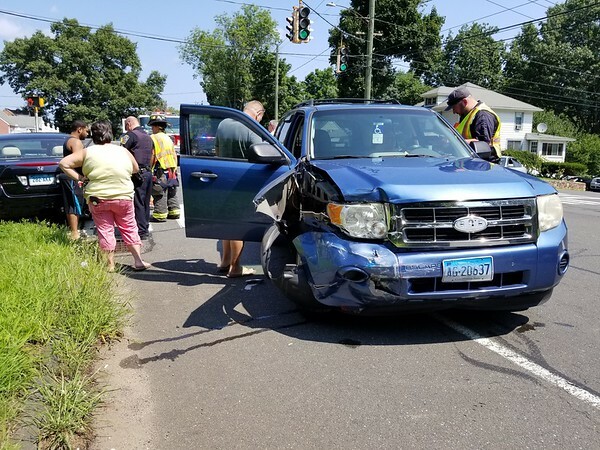 The passenger side of the Accord appeared to have been struck by the front, passenger side of a Ford Escape, which sustained moderate damage. The airbags in the Accord deployed. The driver of both the Escape and the Accord declined to go to the hospital. 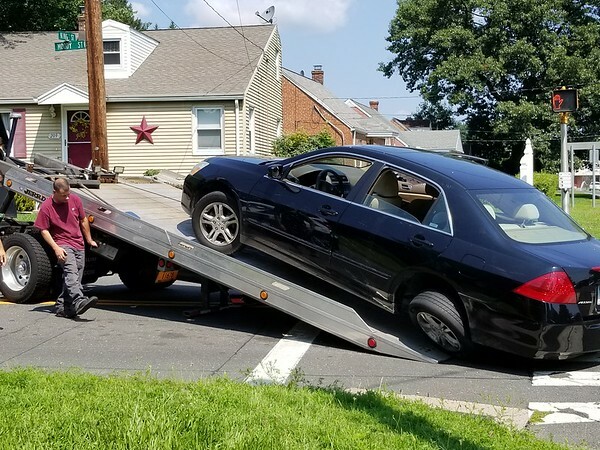 The Accord had to be towed from the scene, while the Escape was able to be driven away. The accident slowed down King Street traffic a bit, as one lane was shut down for less than an hour Friday. Posted in The Bristol Press, Bristol on Friday, 10 August 2018 20:59. Updated: Friday, 10 August 2018 21:01.